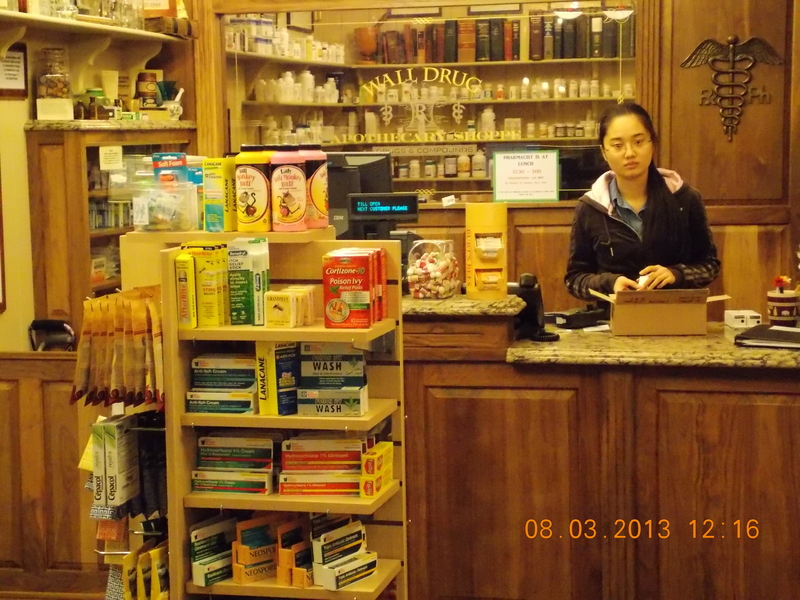 Who in their right mind would buy a drugstore in a South Dakota town of 326 poor people? Well, back in 1931, Ted Hustead, a Nebraska native, and recent pharmacy grad (1929) was looking for a drug store to purchase. But Hustead’s (Ted and wife, Dorothy) had just one little requirement for finding a town to live in. It must have a Catholic Church. He started with only $3000 and a Model T. Forget the need for some decent demographics to make a living! Making a long story much more interesting, business was slow, as you might guess. But Dorothy decided to offer free ice water to travelers on their way to see the newly opened Mount Rushmore monument a mere sixty miles west. Ted placed signs along the highway, directing people to free ice water. Dorothy had come up with the idea since they had plenty of both, ice and water, that is. 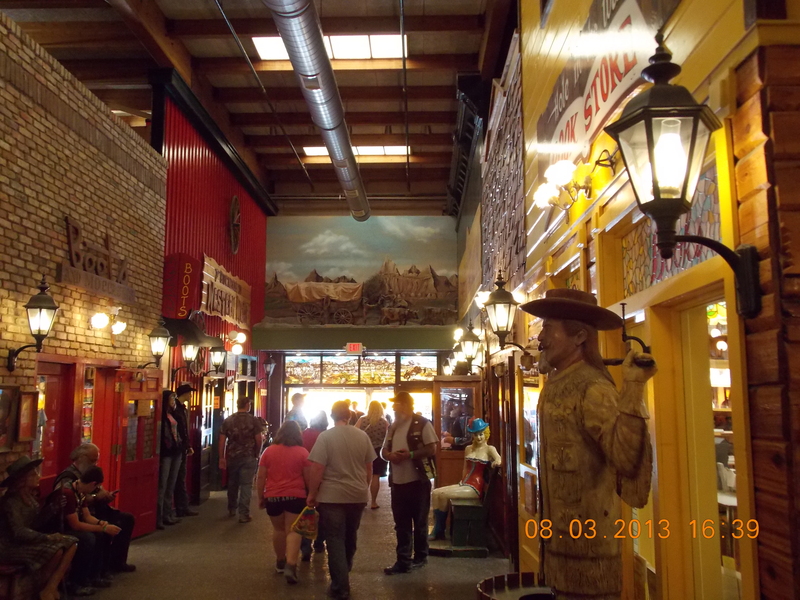 Today, Wall Drug is a thriving cowboy-themed shopping mall and department store. It also has a museum, restaurants, other retail stores, a chapel, and its own Apatosaurus, along Interstate 90. It is without a doubt, the world’s largest drug store! But equally important is how they rose to fame and fortune. It was those crazy signs, and later billboards that stretch along the highways throughout South Dakota and neighboring states. They have over 500 miles of billboards now, stretching from Minnesota to Billings, Montana! By 1981, Wall Drug was claiming to give away 20,000 glasses of ice water a day during the peak summer season. They still offer free ice water today. They even offered free coffee and doughnuts to Air Force personnel if they stopped along the way to Ellsworth AFB, home of the Minuteman Missile silos. Also on the list for free coffee and doughnuts are honeymooners, veterans, priests, hunters, and truck drivers. That only leaves me and you as paying customers! Though Ted Hustead passed away in 1999, Wall Drug lives on. They were featured in Time magazine back in 1981, as one of the largest and best tourist attractions in the northern U.S. They continue to spend $400,000 per year on billboard advertising. In addition, people have taken to putting up their own signs around the world, some as far as Antarctica and Afghanistan. Just think of the poor guy that sold him the drugstore. He and his family must be turning in their graves, so to speak. Perhaps the people over at CVS and Rite-Aid could use some helpful ideas from the Hustead Family? I would like to try the buffalo hot dog in the 520 seat café. Whoever heard of a drugstore with a 520 seat café? Along with the average of 20,000 visitors a day, I see they also have a Traveler’s Chapel. There are a total of 76,000 square feet, a “wonderland” of free attractions. Check it out at walldrug.com. Maybe I will apply for a job! The jackalope story is a subject for a separate email/blog. It might be fun to work in this pharmacy (never mind). There would be no shortage of customers, and I could drink all the ice water I wanted. Never mind, there is no reason to come to Wall, even for the “free” ice water. The best part of Wall is that it serves as the gateway to the fabulous Badlands National Park. That was worth the trip out here. 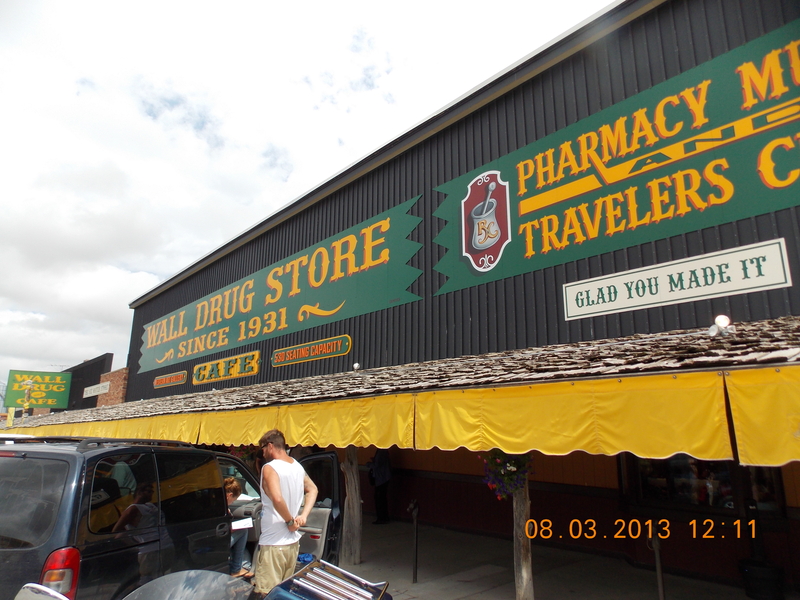 Forget Wall Drug, it is nothing more than a tourist trap in every way.